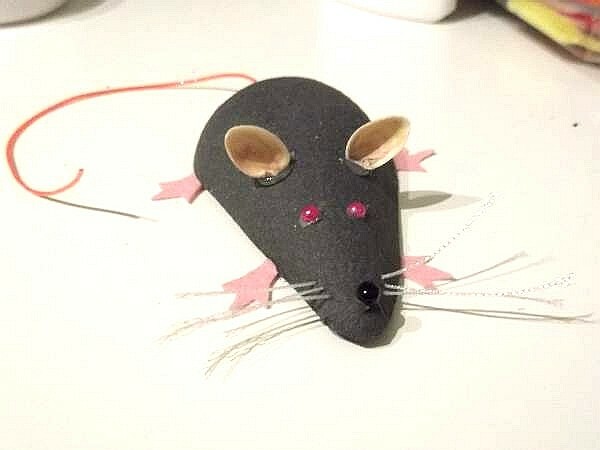 Finding materials to make a mouse was fun. 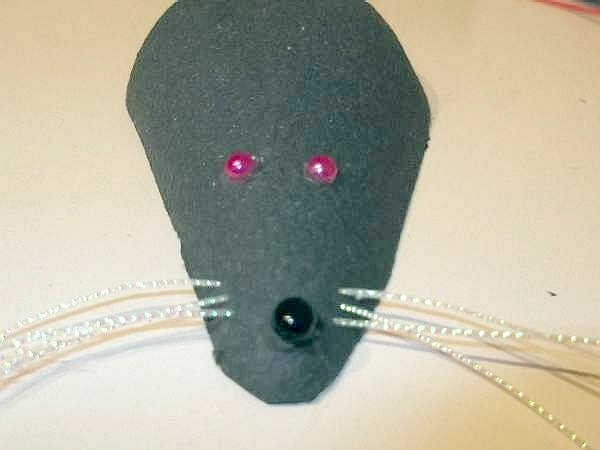 In fact, for our mouse crafts we will create all different kinds of this cheeky critter. 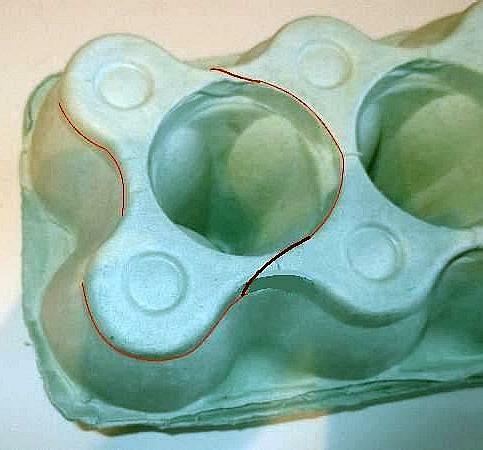 Depending on what part of the world you live the egg boxes tend to differ. The ones from our local shops are ideal for the first ever KKC style egg box mouse. 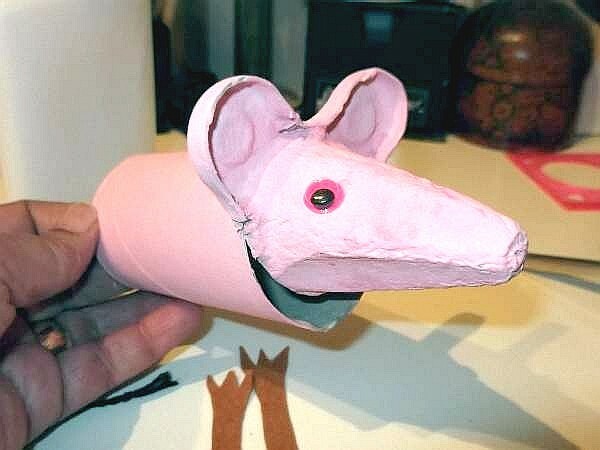 If you can`t find the same type, try and make the head from a rolled paper cone with the ears stuck on. Collect together all the following items to make it. 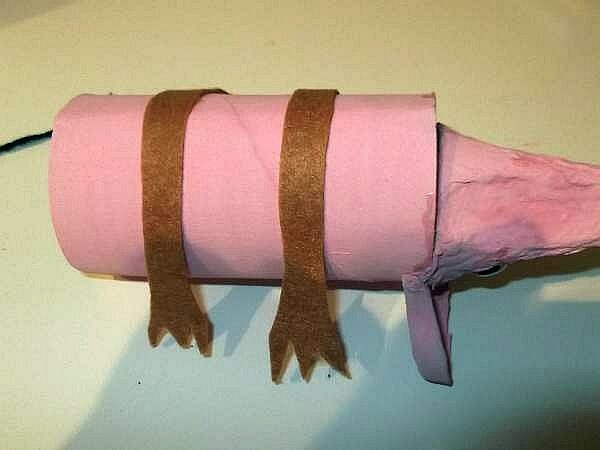 Choose the lighter colored paint and completely cover the head back and front and the toilet roll tube. 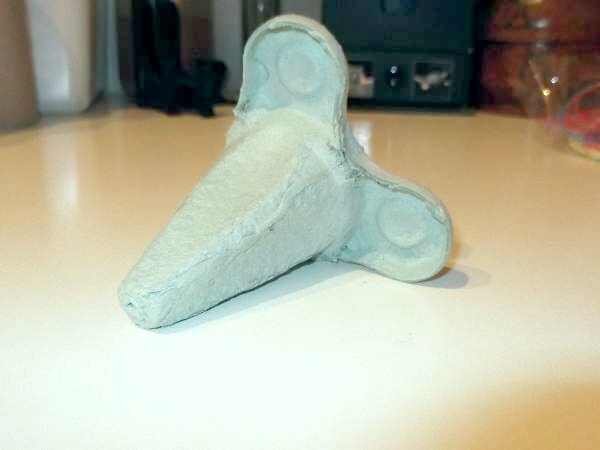 Leave it to dry, or borrow your mum`s hair dryer and blow it dry for quickness. Give it a second coat if necessary. 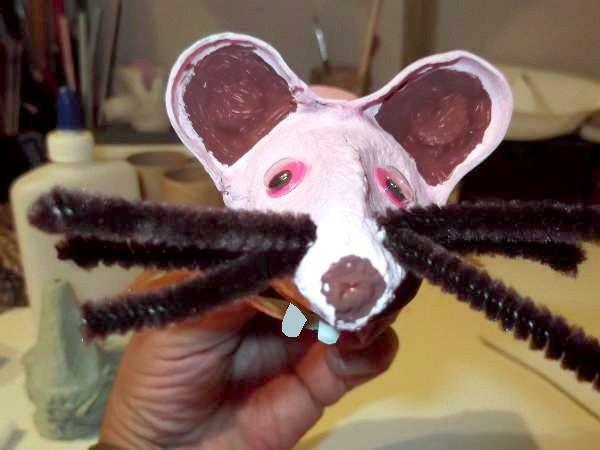 Once it`s dry, take the darker paint and paint the inside of the ears and the tip of the mouse`s nose. While this is drying you can work on the body. First make the legs and feet. 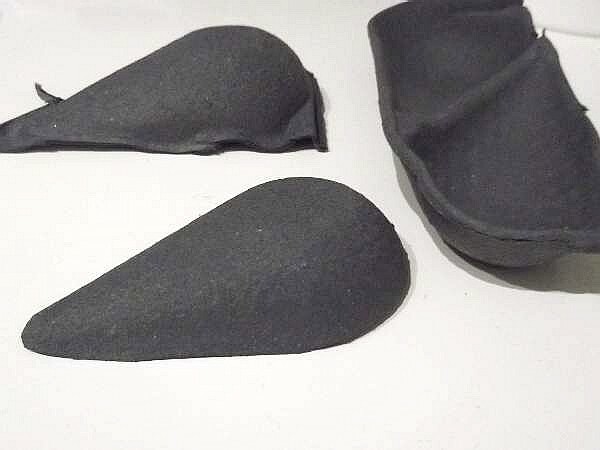 To do this cut the felt into 2 lengths, long enough for 2 pair of legs. See illustration. 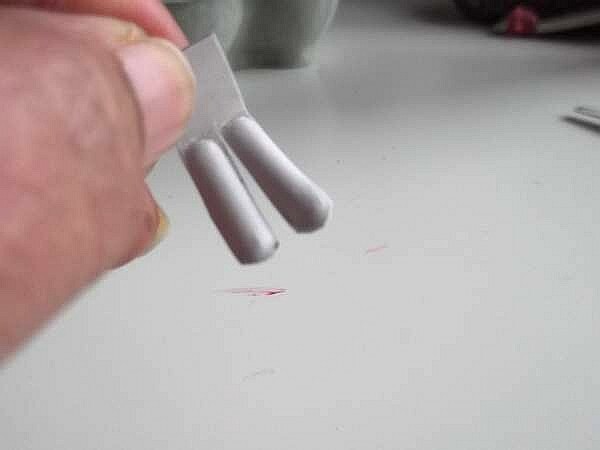 Cut out feet with 3 toes at each end of the lengths and then apply glue along their centers and stick to the underside or belly of mouse`s body. PS. In the picture I have already attached the head but don`t do this just yet. Make a tail by sticking the piece of wool or string inside the end of the tube at the top. Leave the pieces to dry near a radiator while you work on the head again. Fix the googly eyes in place and punch a hole on both side at the end of the nose. 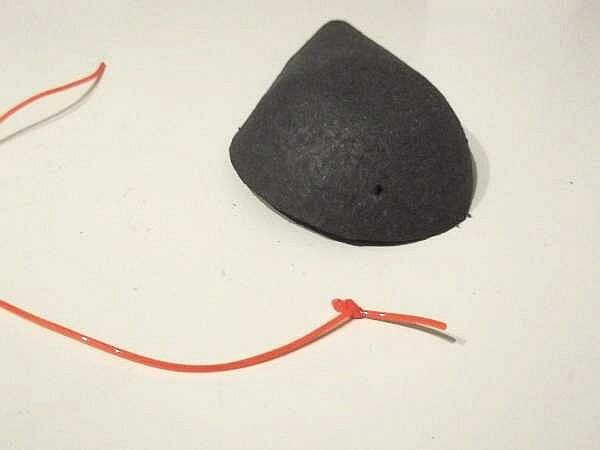 Cut the pipe cleaner into 3 even pieces to slot them through the 2 holes and create the whiskers. To make 2 front teeth, cut 2 indents off the embossed edge of a paper plate which look great as teeth. To separate them cut along the line but not completely, just enough to separate them. 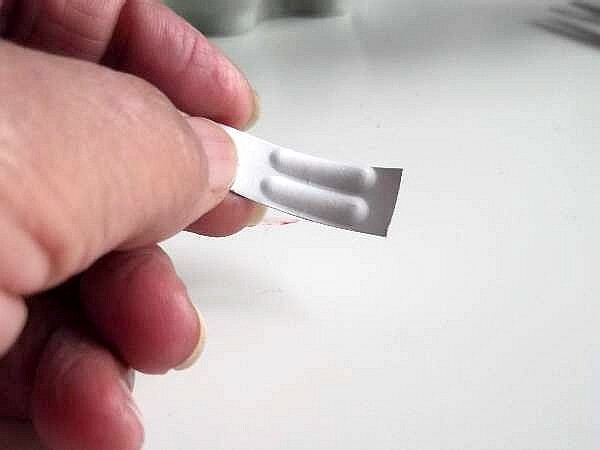 If you don`t have any, just cut a small rectangle from white card or paper and cut it lengthwise, almost in two to form 2 teeth. 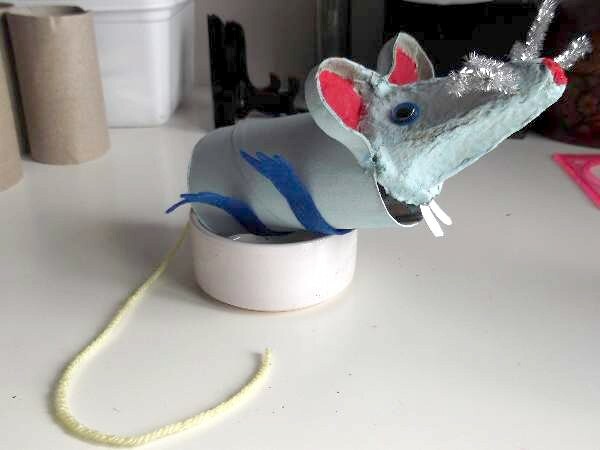 The mouse is almost finished. Paste the top half on the front edge of the tube with a good helping of glue and stick the head just over the edge. 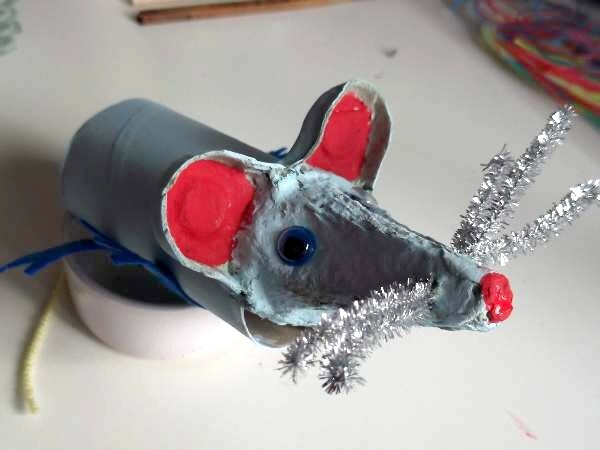 The cardboard tube is much bigger than the head so the head won`t fit over it, but that is just fine because it makes the mouse look like it`s smiling and ready to nibble whatever it can feed its eyes on. Leave it to thoroughly dry and then slot him over a small bowl of empty nut shells. 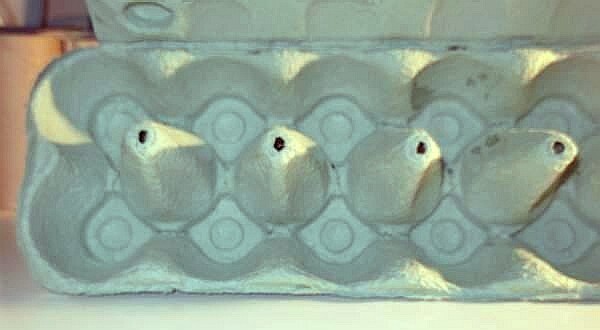 Did you know egg boxes are actually made from paper mache? Sometimes fruits are packed in this material too or in polystyrene. 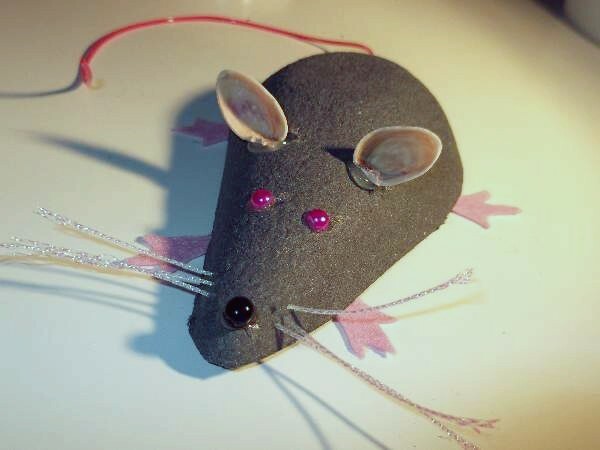 It doesn`t matter which, because there`s a hidden mouse shape you can use to make this funny little critter. 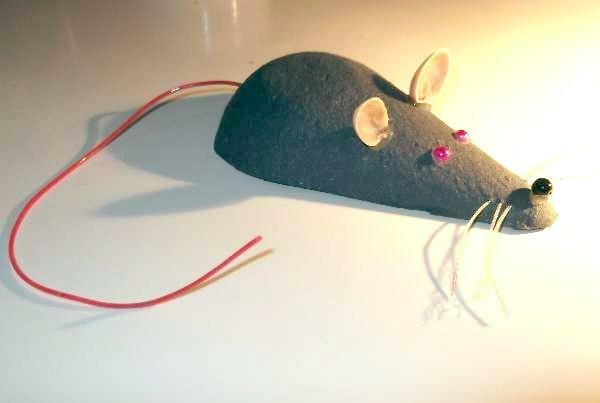 This is our next mouse crafts project, and it`s one suited more for the boys! 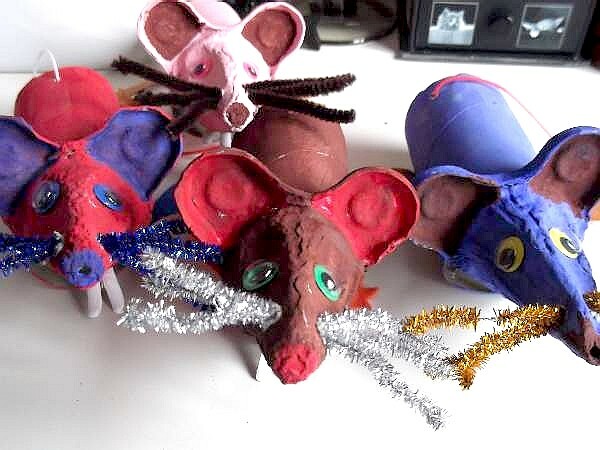 We have cute mouse craft critters and gruesome rats as well but we love making them all. 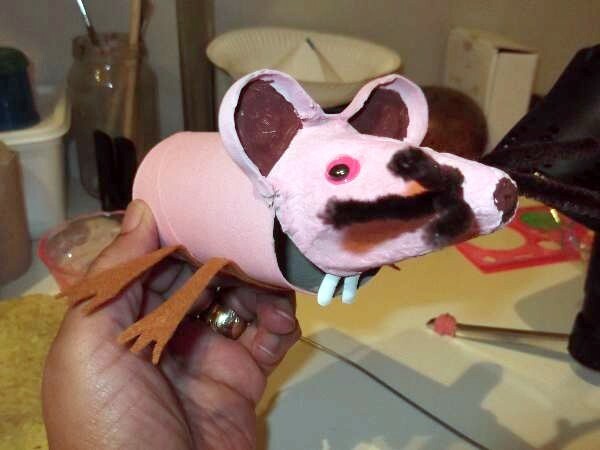 Try this KKC paper mache rat made from a pear carton if you can find one. Pierce a hole in the fat end once you cut out the shape. 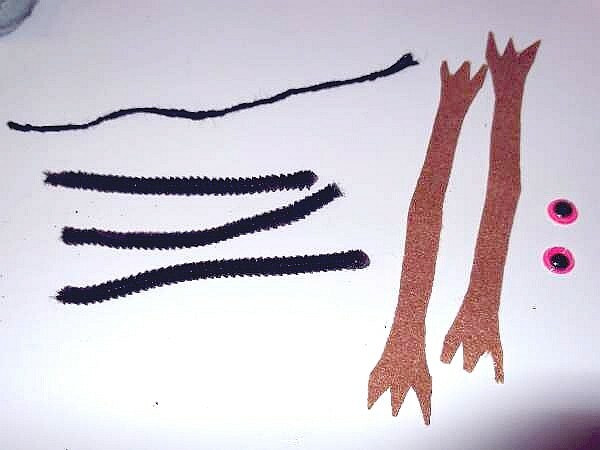 Tie several knots at the end of a piece of Scoubidou or just a length plain wool or string will do and thread it from the inside out to make a tail. 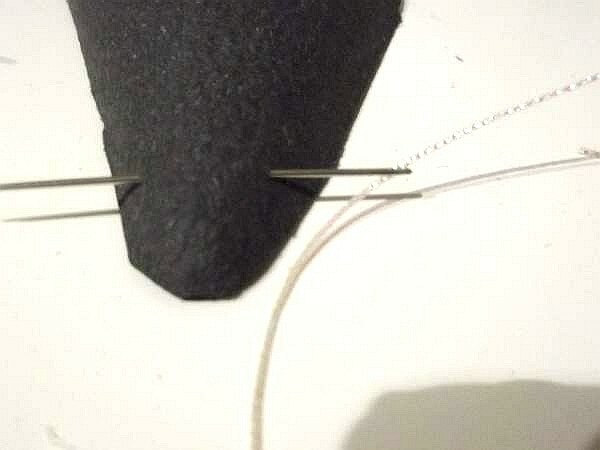 With a darning needle, thread some twine through the nose 3 times to make the whiskers. 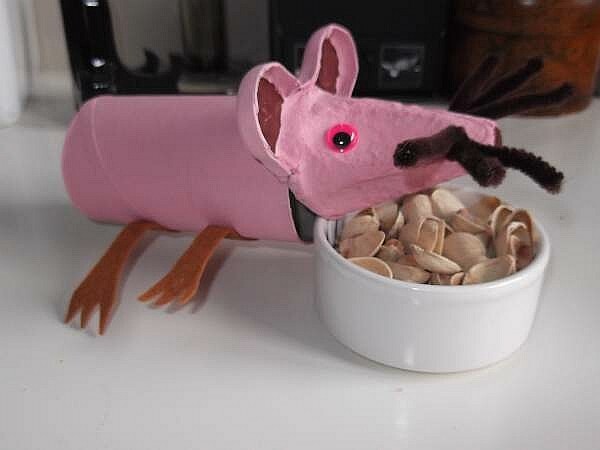 I used a large bead for the nose, 2 pink sequins for the eyes, and pistachio shells for the ears. I always save stuff like that. They are great for crafts. Use a glue gun to attach them. 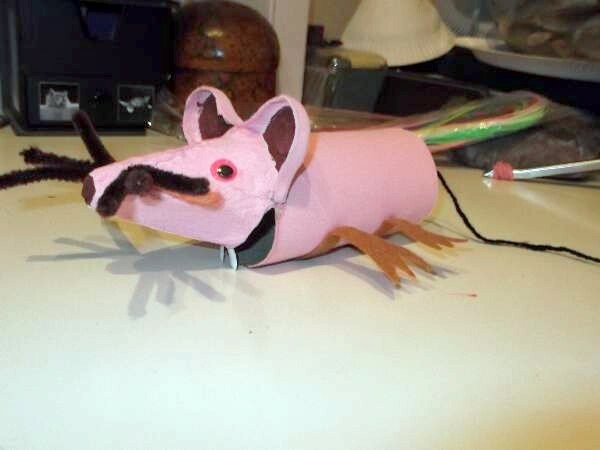 Last of all, cut little pink felt feet and stick the ends to the inside and your rat is ready to place on the stairs ready to give mum a fright! 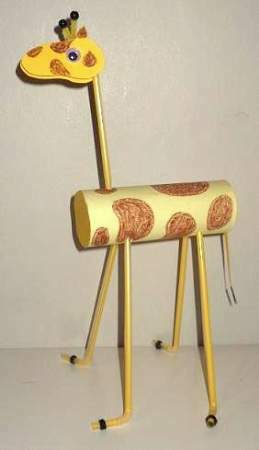 Make this cute giraffe made from straws and a cardboard tube to add to your animal crafts.